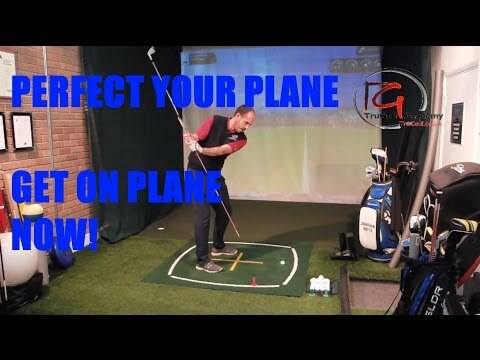 Director of Instruction at the TruGolf Academy Jon Watts talks you through how to check your swing plane at home for a perfect practice session. SUBSCRIBE to TruGolf Academy for more videos for FREE. TruGolf Academy is based at Drayton Park Golf club in Staffordshire, UK. Email jon@trugolf.co.uk or call 01827 251 139 (Ext. 3) for lesson or custom fitting information. Please leave your comments below and any suggestions of video content you would like to see? Remember to hit the LIKE button if you found the video useful and send it to a friend you think would benefit. Previous Previous post: Changing your swing plane.